Activists subsequently stood outside the building to chant in protest at the eviction, before marching down O’Connell Street towards Store Street Garda station. Five people were arrested yesterday evening after housing activists were removed from a vacant house on North Frederick Street in Dublin. The house had been occupied by 'Take Back the City', a network of 18 grassroots activist groups who are "working together to take direct action" against property owners across the capital. 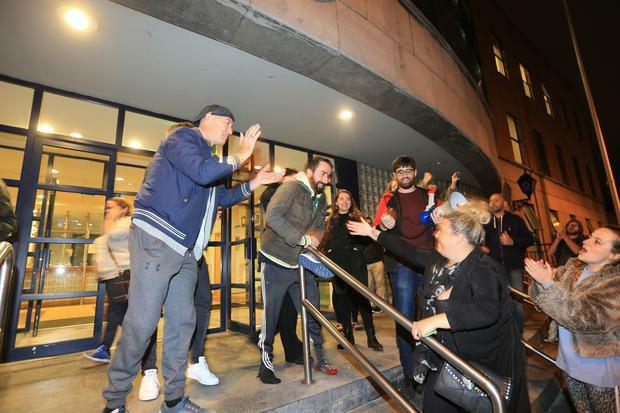 This evening, the activists were removed from the property at 34 North Frederick Street, as they had been defying a court order to remain in the building for a number of weeks. The order was issued on 28 August, when the High Court ordered that all persons occupying the house vacated it by 2pm the following day. A garda spokeswoman has confirmed that four men and one woman were arrested at the scene. In a statement on Facebook previously, the ‘Take Back The City’ group, featuring a coalition of various housing groups, said the aim of the protest was to highlight the housing crisis. “We want to continue to highlight the causes of this crisis – one of which is land hoarding & speculation by private owners,” a spokesperson said. 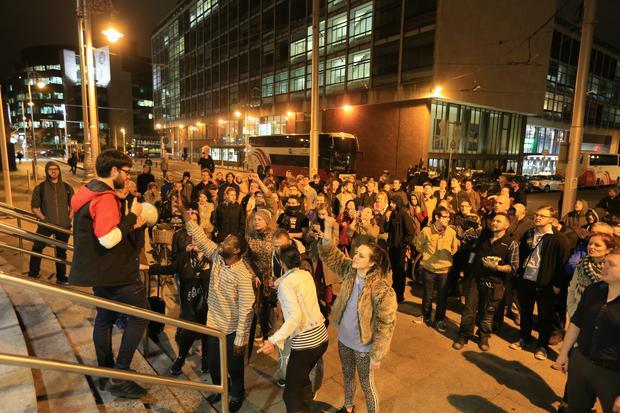 "Instead of this becoming yet another hotel for short-term residents, we will continue to demand that Dublin City Council place a compulsory purchase order on the property, so it can be returned to the community for use as permanent public housing or as a community resource," Dublin Central Housing Action said in a statement. In a list of demands posted by the housing activists, they request that the house should be “given back to the community and turned into public housing and community facilities”. This is the second occupation of its kind recently, as the same group of activists took over a property in Dublin's Summerhill Parade in early August.